Are you looking to add that last terrifying touch to your spooky Halloween yard? Are you trying to keep the neighborhood kids from messing around on your prized pansies, or are you trying to guard the yard of the abandoned house at the end of the street? 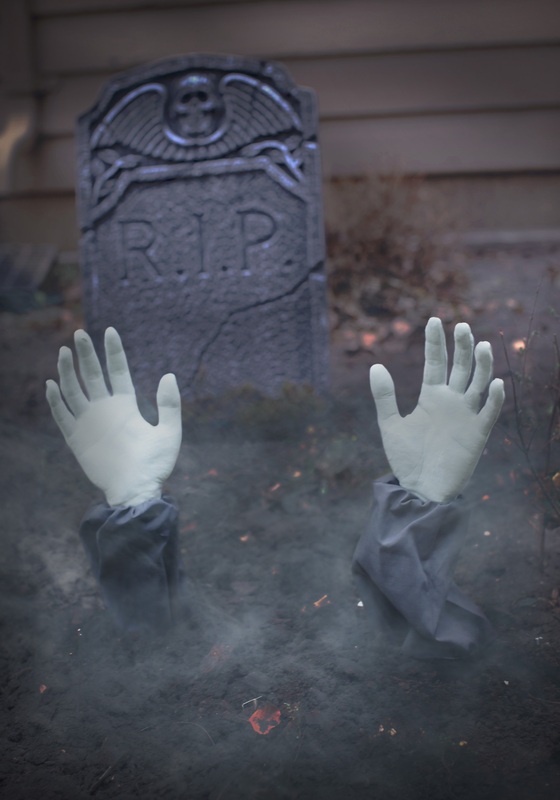 Are you a graveyard manager with the world’s most tasteless sense of humor? If you answered yes to any of these questions, then oh boy, are you in luck! These Zombie Arm Lawn Stakes are the perfect way to frighten up your lawn (or anyone else’s, for that matter). They make it look just like the undead are making their way back to the world of the living to consume some brains, “red meat,” or maybe just some of the really great TV shows that have been airing over the last few years. In any case, enjoy the frights and fun these lawn stakes will provide for your trick-or-treaters or your year-round visitors. It’s totally up to you.